Delicious & well prepared payasam. Quick payasam recipe, waiting for the next good occasion to try! That is a new idea for me to add macaroni in kheer, I am sure it is tasty. Sorry coming after long time on your blog. I would never have thought of this. 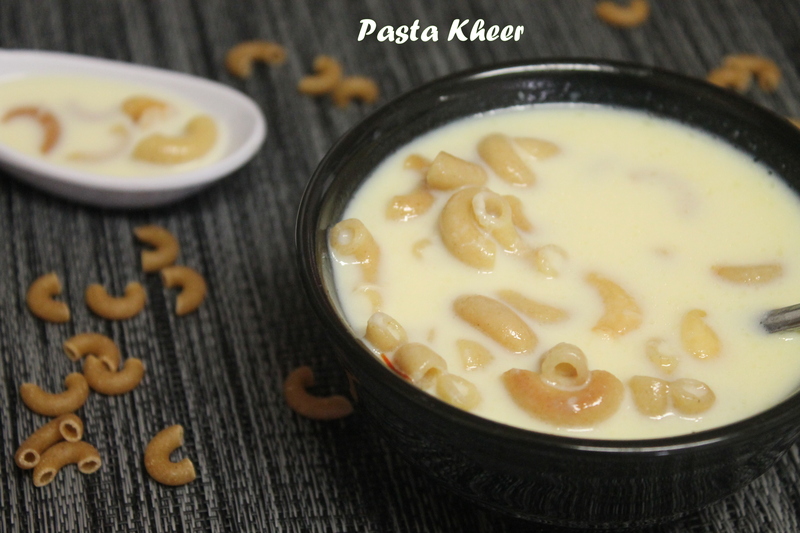 A macaroni kheer! What a perfect fusion meal. I have to stay away from this as I’ve been obsessed with kheer for years. It literally has all of my favorite things, cardamom, saffron, condensed milk. Say no more! Wow! 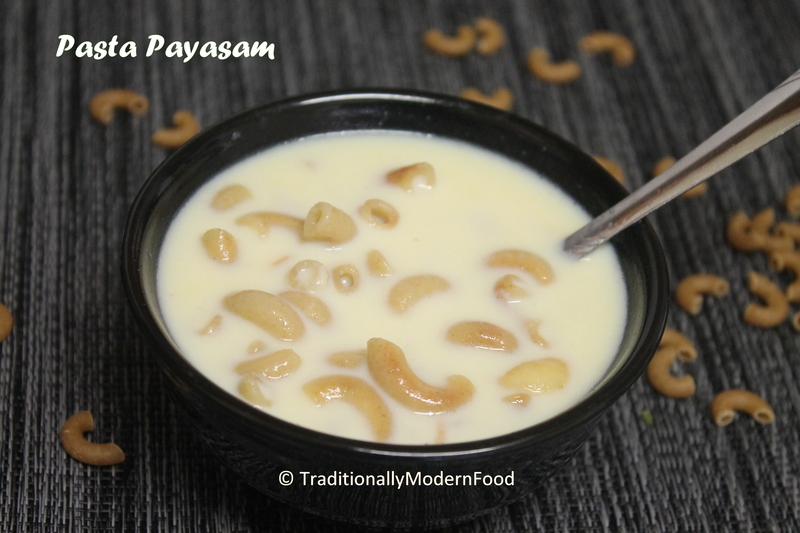 you have re-defined payasam my friend! I never had payasom with macaroni! I so would like to taste it! Wow, looks delicious!! This recipe is very new to me, love the idea !! 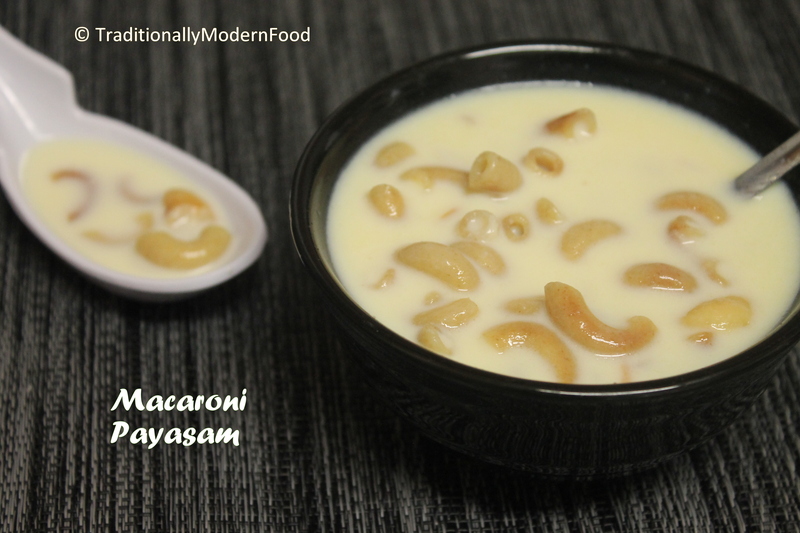 Hi Vidya,Macroni payasam looks delicious! Very different and uniwue preparation! Macaroni payasam looks very delicious. What an interesting way to make macaroni pasta. I have never heard of cooking the macaroni in milk. I imagine this is velvety goodness. sounds delicious. This looks yummy! I love my pasta and I’ve never prepared it like this! Sounds delicious, rice might be nice also like a rice pudding. I’ve never had macaroni in a sweet dish It really does sound good. I love love macaroni and cheese too! Your recipe sounds delicious… I could eat it for all three meals a day!